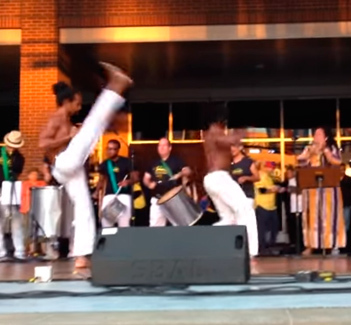 educating, and uplifting people of all backgrounds with the exhilarating music and dance of Brazil. 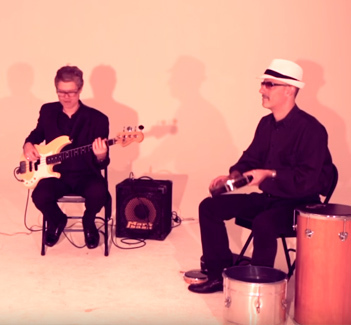 Samba, Pagode, Bossa Nova, Capoeira, and More! 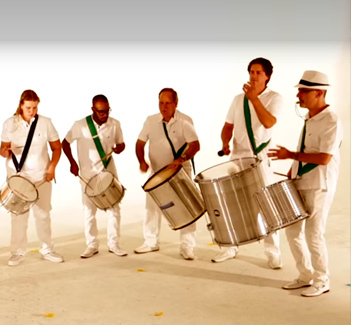 Featuring our band of high-energy drummers and dazzling dancers, Samba New York’s professional Show Group will uplift your guests by bringing the joy and richness of Brazilian culture to your next event! We offer entertainment for corporate programs, festivals, nightclubs, weddings, school functions, birthdays, and other special occasions. Brazilian beats to uplift body and soul! Experience the magic of samba! Immerse yourself in the revelry! 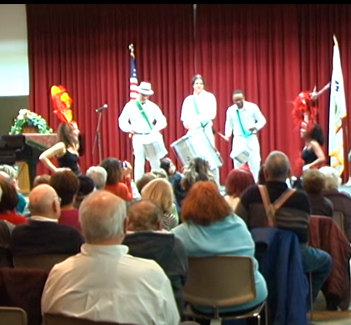 We love samba culture and are eager to share our knowledge with you! 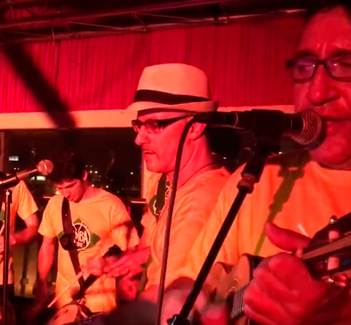 Come be a part of NYC’s foremost samba music academy, offering regular classes in Bateria and pagode. Our expert music and dance instructors are available for workshops and residencies worldwide for groups of all levels! "Samba New York! was the perfect choice of entertainment and live music for our wedding. The drummers and beautiful dancers got everybody on the floor to dance and an awesome time was had by all. Philip and Valerie are extremely professional and a pleasure to work with and they went out of their way to accommodate our requests. We highly recommend Samba New York! for your wedding or special event, it's a unique and amazing show that will be the delight of all your guests." 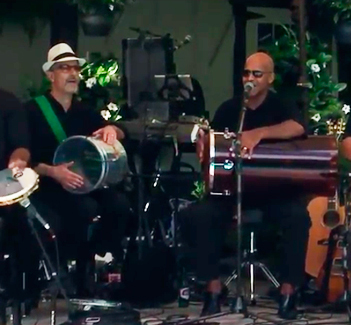 "I had a group of 3 drummers and 2 samba dancers performing at my husbands 50th Birthday party and it was AMAZING!!! Philip Jalinsky is very professional and manage everything so nice. No headaches! They are very, very good musicians and the dancers were very good and engaged with the people. Our family and friends will be talking about his forever. The way that the music got everyone up dancing was great. People that I never saw dance before was so happy dancing around. I recommend this group with 5 stars in all the categories and thanks so much for making our party the Best party ever! " © Copyright 2016-2017 Samba New York! All Rights Reserved.